Now that the holiday break is upon us, it’s colder, the kids will be home, and if they’re anything like mine, they’ll be complaining that they’re bored about two hours in – even after opening Christmas gifts! We’ve still got a while to go before spring, so if you and your kids are going stir-crazy inside, we’ve compiled some tips to beat winter boredom! Turn your house into a winter wonderland. Every year my kids are devastated when we take all the Christmas decorations down. If it were up to them, we’d leave them up all year! 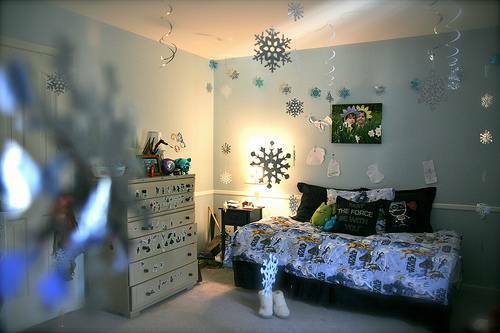 But blogger Lindsay Ferrier turned her house into a “Winter Wonderland” last year and I thought it would be a great way not only to occupy your kids for a day but also keep some of that winter spirit alive. There are many free activities that will keep kids occupied – and get everyone out of the house! The Santa Fe Public Library offers story time and art events. The Santa Fe Children’s Museum offers exciting, education exhibits. If your kids need to burn some energy, the Santa Fe Climbing Center offers an indoor rock climbing wall. 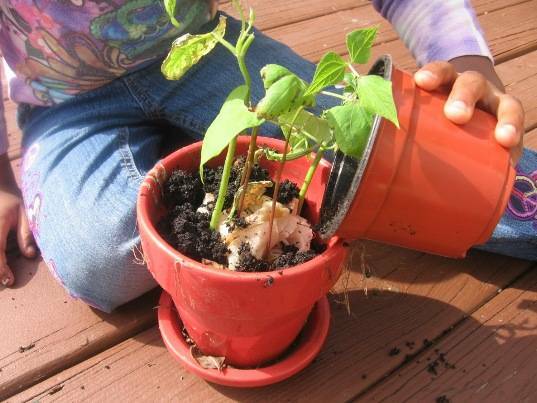 Nothing says spring like planting – but you can get a jumpstart by starting a garden indoors – and the kids can help! Inhabitots has a great tutorial for how to get one started. Kids have a ton of energy – all the time! If they need to get moving, create an obstacle course in your house. This link from Family Education has some great ideas. 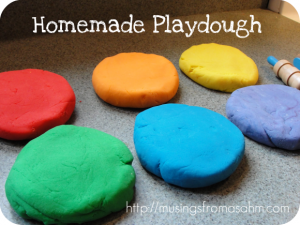 Kids love Play Doh and you can extend the fun by helping them create their own. This link has the recipe and helpful tips.